On an evening dominated by Rugby World Cup champions the All Blacks, a superb South African managed to highlight what an incredible year he has had. Werner Kok, the South African Sevens Star had an incredible season on the defensive side of the game and underlined his importance to the Blitzbokke through a string of fine displays. The Blitzbokke may have ended the series in second place, but everything that Werner Kok did was first class. This included beating James May at a the Clarkson, Hammond and May live (i.e. Top Gear) festival. It allowed the Nelspruit born star to help the South African Sevens side qualify for the Olympic Games, something that he is inspired to compete in himself. Last night at the World Rugby Awards while everyone was talking about Sonny Bill-Williams and the kid that broke the law to win a medal or about Dan Carter being player of the year again, Werner was awarded the World Rugby Sevens Player of the Year for 2015. 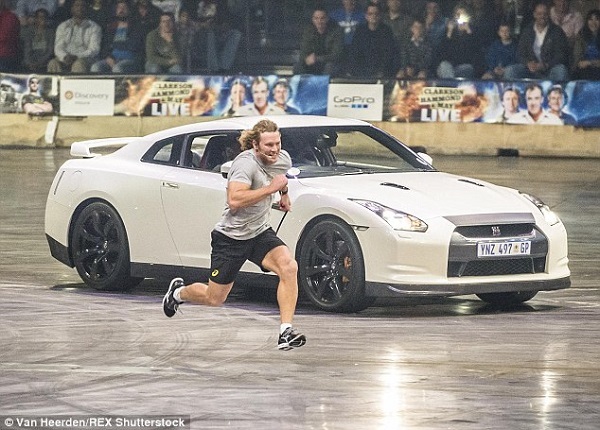 At a time when our rugby is at a bit of a cross roads and debate is raging around the make up and coaching of the 15 man side, there is a genuine excitement around the Sevens Side and in particular Werner Kok. The award was coupled with him being included in the World Dream Team for the 2014/15 season. Werner has already won the Commonwealth Games with the Blitzbokke and the Asics Ambassador will be desperate to add a gold medal in Rio in 2016 to his already impressive collection of winners medals with the team. What we know from a South African point of view is that our best chance to succeed is with a fit and fighting Werner in the side.